I’m afraid this will be a somewhat cluttered post. I do apologize, but life has been hectic as of late. Well, after a shaky start to the season, this feels more like the Defiance I know. 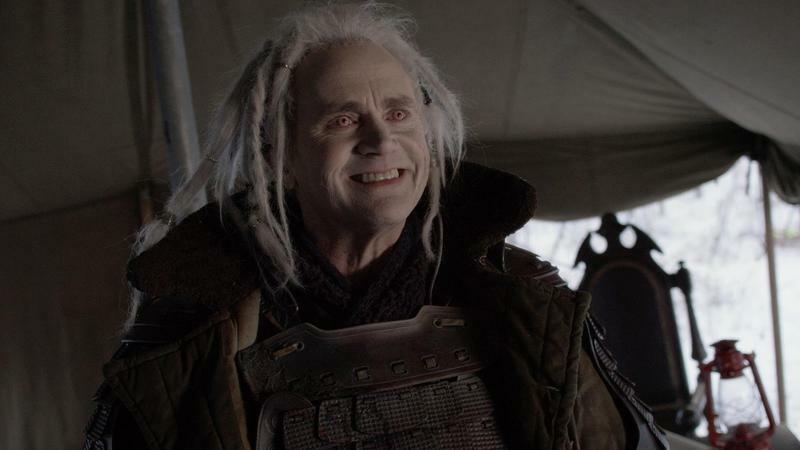 Datak and Stahma return to Defiance with a rousing tale of their escape from Rahm Tak… but of course it’s all lies, and it doesn’t take long for them to begin their plans of sabotage. The Tarrs always seem to find ways to weasel out of trouble and maintain their place in Defiance, but when their collaboration (forced, to be fair) with the VC comes to light, it’s hard to imagine what could stop Amanda from skinning them alive. We also see Stahma strike up an unlikely friendship with the Omec commander. It’s a welcome nod to Stahma’s rarely mentioned past life as a poet, but one has to wonder what her angle is. This is Stahma. She always has an angle. To my surprise, I’m actually rather liking Irisa’s arc this season. While it’s obviously frustrating to see her constantly fail at the only thing she’s good at, it’s a good kind of frustration — the kind that builds drama — and it adds something akin to depth or nuance to Irisa’s character. After two seasons, she’s finally doing something other than screaming, crying, and stabbing. Irisa has long been the weakest part of Defiance. Could that finally be changing? “The Broken Bough” doesn’t have any shocking twists or major developments, but it moves the plot forward enough to be satisfying, and all the story arcs are tight, compelling, and well-executed. Really my only complaint is the forced and somewhat cheesy Terminator reference. That title makes me think of both a Chvrches song and a mission in The Secret World. Both good things to be reminded of. Defiance needs weapons to defend against the impending Votanis Collective attack. Nolan digs up records of an Earth Military Coalition bunker that may have the munitions they need, and he and Amanda set off to plunder it. But when they get there, they find that it has been taken over by a familiar face: Niles Pottinger. The months of isolation have stripped away whatever little sanity Pottinger ever laid claim to, and he’s become some bizarre melding of a Bond villain and Marlin Brando’s character from Apocalypse Now. Somewhat to my own surprise, I was rather glad to see Pottinger show up again. I mean, he’s vile, and I hate his guts, but he does make for an interesting story. And that definitely holds true here. As weird and creepy as “Dead Air” is, it’s also a thoroughly compelling story, and it provides much needed closure to one of the second season’s biggest loose ends. The other plots were less compelling, but still enjoyable. Stahma is ordered to assassinate the Omec leader by Rahm Tak, but of course killing a flesh-eating evil space god is not really that easy. I’m starting to think Datak is just straight up screwed at this point. 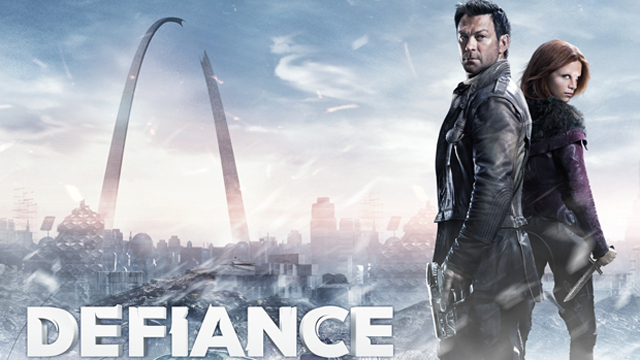 When the people of Defiance find out what he and Stahma have done, they’re going to want to string both of them up, but Stahma might at least be saved by the Omec. Datak? Datak’s boned. 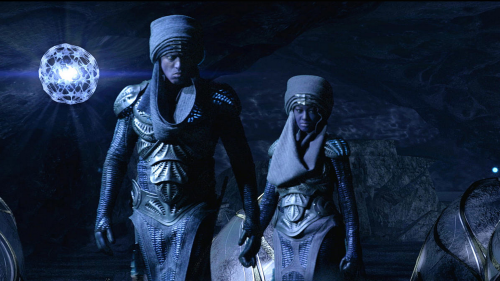 We also see that Nolan and Irisa seem to be suffering some nasty side-effect of their time in the Kaziri‘s stasis pod. I’m guessing it’s something that manifests from them being too far apart. That would be a good source of drama considering that Irisa’s newfound nonviolence makes her a liability in a lot of situations. Well, it didn’t take them long to recover from that weak second episode. Two is able to determine that Five’s strange visions are likely because her mind contains the memories of the entire crew, buried in her subconscious. Soon after, the Raza‘s engines fail, putting the entire crew in danger as the ship is bombarded by lethal radiation. As the crew’s suspicions boil over, threatening to tear them apart, it’s up to the android to venture outside the ship and conduct emergency repairs. This is a return to everything that made the pilot so entertaining: mystery, intrigue, and strong characterization. I think what stood out the most in this episode was the dialogue. It was all very snappy and clever, and I often found myself laughing out loud. I recall funny one-liners were another strength of the Stargate shows, and I kind of want to rewatch Atlantis now. Also, Five continues to be awesome. My guess is that Two erased their memories. Three and Four are too obvious, Five has already been ruled out, and there’s no evidence that it was One or Six. Two is too eager to convince people to drop the subject, and wasn’t she telling the android* to keep something secret? Of course, that twist at the end — which was another great one — throws everything into question. Are these even the people we think they are? My only complaint is the continued romantic/sexual tension between One and Two. It feels forced — as these things often do — and it probably doesn’t help that they are the show’s two least interesting characters at the moment. At least the android has some value as comedy relief. That minor issue aside, this was a thoroughly entertaining episode. I’m with you in enjoying those episodes more than the prior ones. I just finished watching the next ones after those you’ve reviewed here. 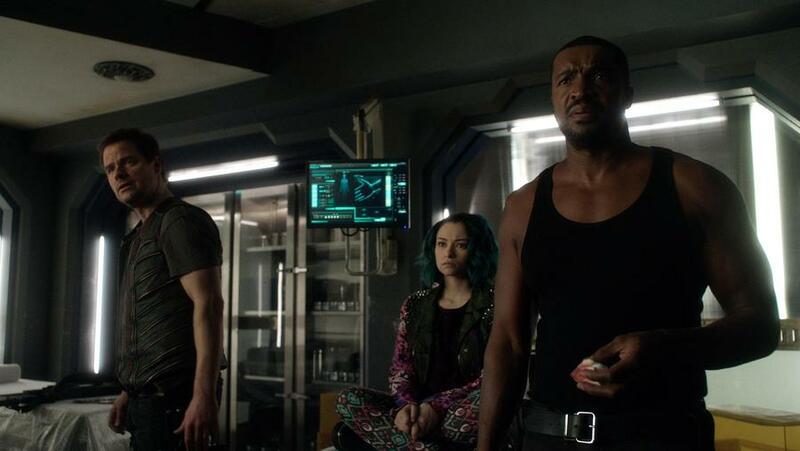 Defiance explained a lot, and Dark Matter basically told us what happened to make everyone lose their memories and why 5 has them. But without telling us, so that they can still unfold details as the characters figure it out themselves. And I’m really liking Killjoys. 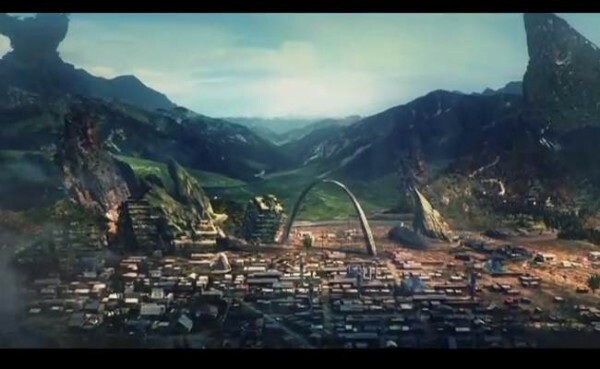 Plot holes you can drive a truck through, but they just don’t matter becuz it’s a fun show too. Dark, but with a lot of witticisms and good one liners. If you can find it, I’d recommend catching it up. I may look into it, but I do have a pretty huge backlog of things to watch right now.